On Friday, Jan. 4, an incident occurred in Shiloh Estates involving Faulkner County Deputy Kennan Wallace firing his weapon at a dog during a call for service. On Friday, Jan. 4, an incident occurred in Shiloh Estates involving Faulkner County Deputy Keenan Wallace. A video of Deputy Wallace firing his weapon at a dog during a call for service, which was recorded by a citizen, is currently being reviewed by supervisors. According to a post on the Faulkner County Sheriff's Office Facebook page, Sheriff Tim Ryals has placed Deputy Wallace on paid administrative leave pending an investigation. Sheriff Ryals wants to make certain no local, state, or federal laws, as well as any sheriff's office policies have been violated during this incident. According to Deputy Erinn Stone, it has not been confirmed on what the initial police call was for. She also said Deputy Wallace also has a K9 deputy assigned to him. The Faulkner County Sheriff's Office plans to investigate this incident to the fullest. A GoFundMe page has been set up by citizens in support for the dog, named Reese's. 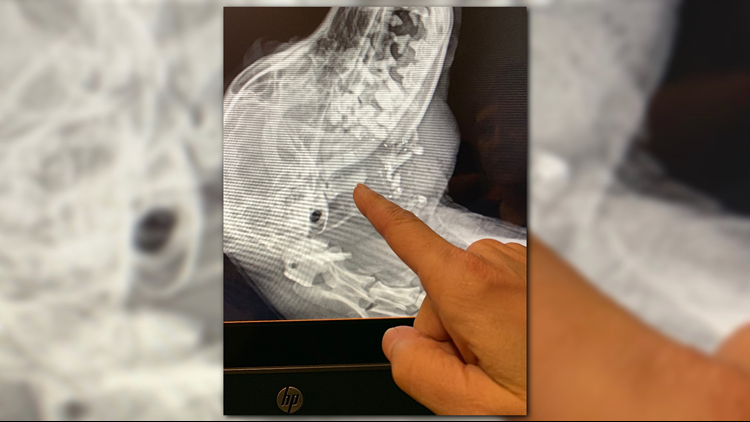 Last Chance Arkansas provided a photo of Reese's X-Ray, after he was found and taken to the vet. UPDATE - According to Sheriff Tim Ryals, Deputy Keenan Wallace has been relieved of his duties at the Faulkner County Sheriff’ Office. Sheriff Tim Ryals with the Faulkner County Sheriff's Office released a statement on Facebook on Saturday, Jan. 5, addressing the incident following the investigation. It says, "Since taking office in 2017, I have been an advocate of integrity, professionalism and transparency. I hold my Deputies to the highest of standards to protect and serve the residents of our community. Unfortunately, a Deputy fell short to those standards. Over the last 24 hours, at my request, Faulkner County Investigators have been working diligently to investigate whether Deputy Wallace violated any state law or our agency’s policies and procedures. While it appears no policies or laws were violated, I hold every employee within our agency to the highest of standards and will be forwarding the investigation to the Prosecuting Attorney’s Office for further review. As a result of the incident that occurred on January 4, 2019, in the Shiloh Estates Subdivision, Deputy Keenan Wallace has been relieved of his duties at the Faulkner County Sheriff’ Office. We in Law Enforcement answer calls every day that require split second life and death decisions. We strive to be right 100 percent of the time. Stay with THV11 as we continue to follow this story.